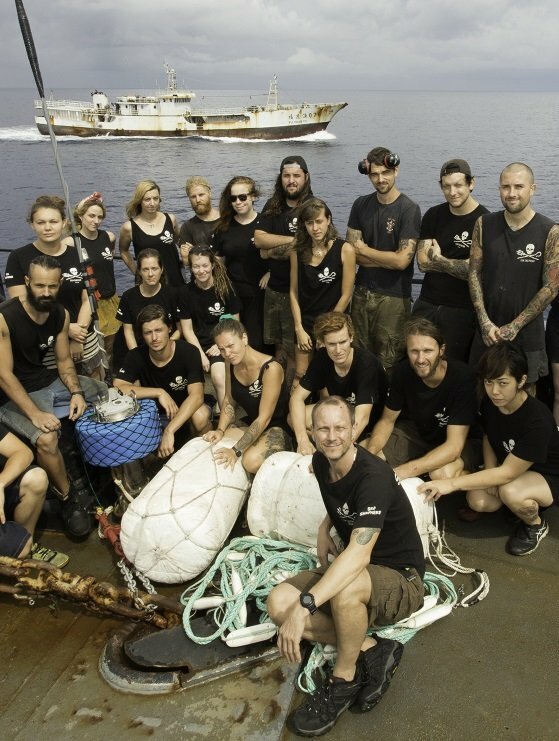 In January of 2016, while patrolling the South Indian Ocean, Sea Shepherd's flagship vessel the Steve Irwin came across a fleet of ships engaged in the illegal practice of fishing with driftnets. Banned since 1992, this style of fishing is notorious for its indiscriminate killing of wildlife. The vessels fled, abandoning approximately five kilometers of driftnet which the crew of the Steve Irwin confiscated and brought on board with the bodies of 321 animals. Having submitted evidence to all relevant international authorities, Sea Shepherd launched Operation Driftnet and returned to the Indian Ocean to find and shut down the illegal fleet. Launched by Sea Shepherd Global in February 2016, Operation Driftnet has successfully ended the operations of a fleet of six illegal fishing vessels. Sea Shepherd has once again followed the template of coordinating international efforts to tackle international fisheries crimes and would like to credit the success of this campaign to the combined efforts of the Chinese government, INTERPOL, the crew of the Steve Irwin, Sea Shepherd Legal and Sea Shepherd Global.